Our range of pH Adjusters & Test Kits give you everything you need to perfect your nutrient solution, with buffers, pH up/down and pH test kits. 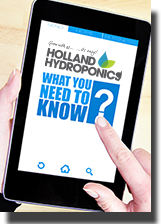 When mixing up nutrient solutions, pH can fluctuate, or the water being used has a naturally low pH, but with just a couple of drops of Growth Technology’s pH Up or Down, it can change the pH to the desired level of between 5.8 to 6.2. Canna pH Down - Grow , Bloom and Organic. Refill bottle for your pH test kit. This pH Test Kit is an easy to read colour test using liquid reagents. Simply add a few drops of the testing liquid to your nutrient solution and see how the colour changes. Compare it to a colour chart to read the pH result. 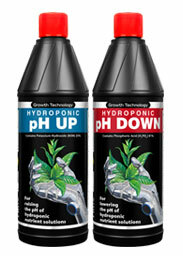 The Growth Technology pH Liquid Test Kit comes with a test vial, test liquid and colour chart to easily check and adjust pH levels. Just add drops of test liquid to a sample of the nutrient solution, shake and compare the colour to the chart.